The following formulas have been created in small batches with careful, loving consideration to quality of product and effects on our environment by Terrel Broussard. "With great success, we've been selling Terrel's formulas in the shop for a few years. I personally use the Immuno Umph on a regular basis, and the Super Echinacea whenever I am feeling a bit of a sore throat, and especially during cold season. Rarely do I catch a cold that others around me may be suffering from. I have bought many bottles of the Immuno Umph, Relax and Recover, and Super Echinacea for friends and family alike. And in our retail environment we sell many bottles based on the recommendation of our staff, all of who use the products." "It has been about three (3) years since I first started using Terrel's herbal products for various reasons. The three I have tried and use regularly are Milk Thistle, Immuno Umph, and Relax and Recover. I have had only one (1) cold while at the same time throughout my office I have counted at least 10-12 with numerous individuals! The cold I got that floored the others for days, hit me hard, but I didn't miss a day of work and it lasted only three days, versus weeks for the others who were drastically impacted, I'm sure it was the Immuno Umph! Secondly, Relax and Recover, even in small amounts, does the job over many other over-the- counter herbal products I've taken, e.g. Melatonin and Valerian Root capsules, quite effective I'd say. Overall, I have been very pleased with the three and look forward to continual use throughout the next 3 years." "Immuno Umph! does exactly what it says it will do - give the immune system a boost. It lessons the duration of most viral infections. I've been taking it for over a year, I give it to all my family members and suggest it to everyone!" 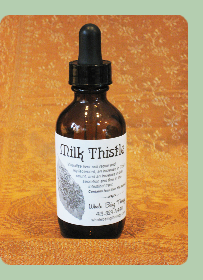 "I find that the milk thistle helps to balance out my skin. It's great when used regularly, but also helps dramatically when I have skin inflammation or break-outs. I also use it when my liver needs help detoxing--after a long weekend." "I also have been really loving the Red Root for lymphatic drainage. When I was sick 2 months ago with soar throat/cough/respiratory infection, I've tried all of the natural and homeopathic remedies, but nothing relieved the symptoms until I started taking Red Root. I noticed signs of healing the next morning and recovered fully within days." "Terrel started me on milk thistle a year ago, when I came to him with inflamed eczema. Since then, I take it once a day and I am eczema free. If anyone has eczema I let them know milk thistle is the way to go!" 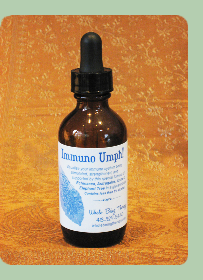 "I have always relied on Immuno Umph when I start to feel cold/flu symptoms. Something strange happened the last time I used the tincture for a cold. I took the dose 3-4 times a day religiously for a week and a wart on my finger started to dry up and die. I had tried many other remedies to get rid of the wart, that I had for about 10 yrs, and Immuno Umph cleared it away after about 10 days. It has now been 3 months and it has not returned. I have used a lot of immune system herbal remedies in my lifetime and this one works the best for me. My entire family has used Terrel's formulas for 5 years, especially immuno umph for the kids in the winter as an boost for the immune system." "Relax and Recover is the only thing that has helped reduce the anxiety that arises when I go through withdrawals as I try to kick my addiction"
Visualize your nervous system being nurtured and restored, and your immune system being supported by this unique blend of Skullcap, Echinacea, St. Johns Wort and Lavender in a glycerin base. Contains less than 1 % alcohol. 1 - 4 oz. $8 +tax per oz. Visualize your immune system being stimulated, strengthened and supported by this special formula of Echinacea, Astragalus, Osha and Elephant Tree in a glycerin base. Contains less than 1% alcohol. Read more about Immuno Umph! Visualize liver cell repair and replacement. An increase in T-cell count, and an increase in bile secretion and flow in the intestinal tract. Created from organic seeds, in a glycerin base. Contains less than 1% alcohol. The nervous system receives stimuli, integrates information and directs the body. Without it, extreme chaos would develop in the organ systems. The components of this formula are known for their muscle relaxation properties, especially those of the central nervous system (neck and spinal muscles). It also contains herbs known for their regenerative effects on injured nerves. An herb to boost the immune system has also been added, as these two systems work hand in hand. The immune system responds to foreign microorganisms and chemical molecules in the body. 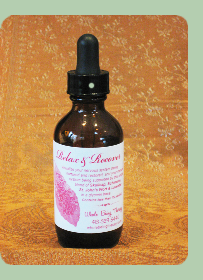 It provides specific resistance-supporting properties to the body during times of disease and stress. The components of this formula are known to enhance the immune system, treat weak lungs, build general health, and remove wastes from the lungs and blood. It also contains an expectorant, diuretic and diaphoretic, and a special herb known by Native Americans as a magical immunostimulant that has powerful anti-bacterial effects. Drug and alcohol ingestion, exposure to chemicals, pharmaceutical drugs, poisons, and unnatural chemicals in the body, all lead to liver damage. The liver deals with and regulates any "foreign" intrusions - when the filter is not working, the body is polluted. This amazing herb replaces and repairs liver cells by placing a protective coating around the liver cells. It increases T-cell count, and increases bile secretion and flow in the intestinal tract. It's also found to help in vitamin synthesis and hormone regulation therefore, bringing the body into homeostasis. All of the forementioned formulas contain only 1-2% alcohol by volume. The alcohol has been extracted and replaced with vegetable glycerin, giving each of the formulas a pleasant sweetness, without the effects of alcohol. - canvas case with adjustable shoulder strap and dual handles for ease and comfort while traveling. -includes 2 drawstring bags for poles and accessories. 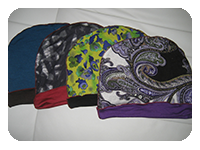 - soft, stylish, stretchy hats to cover oily heads after sessions or overnight. - light weight organic modal fabric made from beechwood trees. 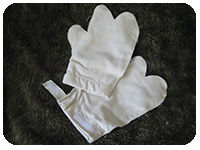 - raw silk gloves with adjustable Velcro closure. - use for daily self-care or ayurvedic treatment to lightly exfoliate, increase lymph flow and circulation, and uplife energy. 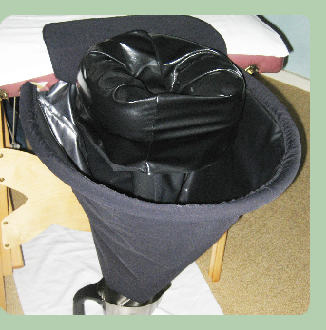 - lightweight, portable attachment for your massage table* to catch and funnel oil into a warmer or shiro pump. - easy set up: slide funnel into table, velcroflap over table edge, turn headrest cushion around, and cover with insert (to protect material from oil). - Quick turnover time: wipe down funnel and apply a new headrest cover. - both pieces have waterproof lining for easy wipe down and are machine-washable. *must drill holes at the head of massage table to attach. - All orders within the US ship for a flat rate of $7. - All orders to Canada ship for a flat rate of $11. - Most orders ship via USPS Standard and should arrive within 5-7 business days. - For expedited shipping, or for any special instructions, please email us. - Our Thai Massage DVD and any Herbal Products cannot be returned, unless there is a specific problem with the product. - All other products can be returned within 10 days of purchase. - Shipping will only be refunded in the event of a defective product. - For all returns, please email us with the the reason for returning, and whether you'd like a refund or a credit. through Ayurveda, Massage, Yoga and Peaceful Rest. Contact us to make your reservations today and to have your questions answered!